Properties in Oxford County average 4.7 out of 5 stars. Property 1: Cozy House Set On 9 Acres With A Pond. Property 2: Dog-friendly lakefront cabin w/ sunset views & firepit - private & near town! Mountain Cottage - Lake and Mountain Views! Property 4: Mountain Cottage - Lake and Mountain Views! Beautiful Off-the-Grid Cabin. Next to A.T. in Andover Notch. Property 5: Beautiful Off-the-Grid Cabin. Next to A.T. in Andover Notch. Property 8: Feel like you are vacationing in a wooded wonderland! Property 9: Summer! 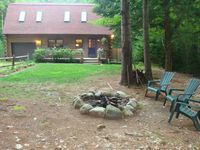 Private Maine Cottage with Hiking, Swimming, and Seasonal Activities! Off-the-Grid Easy Access Cabin to the A.T. in Andover Notch . Property 12: Off-the-Grid Easy Access Cabin to the A.T. in Andover Notch . 3 Bedroom Water Front Cottage On Beautiful Songo Pond. Property 14: 3 Bedroom Water Front Cottage On Beautiful Songo Pond. Property 15: WELCOME Spring & Summer - Bridgton Bungalow Cottage - Bring Fido - Pet-Friendly! Property 21: Look out the windows at the mountain fall foliage, close to N. Conway. Property 23: Traditional Maine cabin located on McWain Pond, Waterford Maine! Property 27: Lakefront Denmark Cottage w/Dock,Canoe & 4 Kayaks! Property 32: 5 STAR Magical Waterfront Cabin on Papoose Pond! 25 Minutes to Sunday River. Property 34: Relaxing Lakefront Cabin With Private Dock On Moose Pond. Wifi And Cable Tv. Cozy Cedar Log Cabin on Pristine Sand Pond in Norway, great for swimming. Property 35: Cozy Cedar Log Cabin on Pristine Sand Pond in Norway, great for swimming. 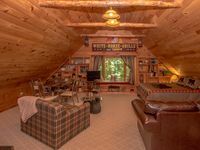 Property 47: Kezar Lake Waterfront Lakehouse - Swimming, Boating, Fishing Awaits! Property 50: Great beach for kids! Everything was clean and well stocked. Pam was very prompt with answering questions. The cabin was tastefully decorated. It truely was a home away from home. Love the layout of the cabin. It's very clean. The owners are very nice and accommodating. Location is perfect. I highly recommend this place to others!